Aspinalls - Waste Water Tanks, Honda UK, Swindon. 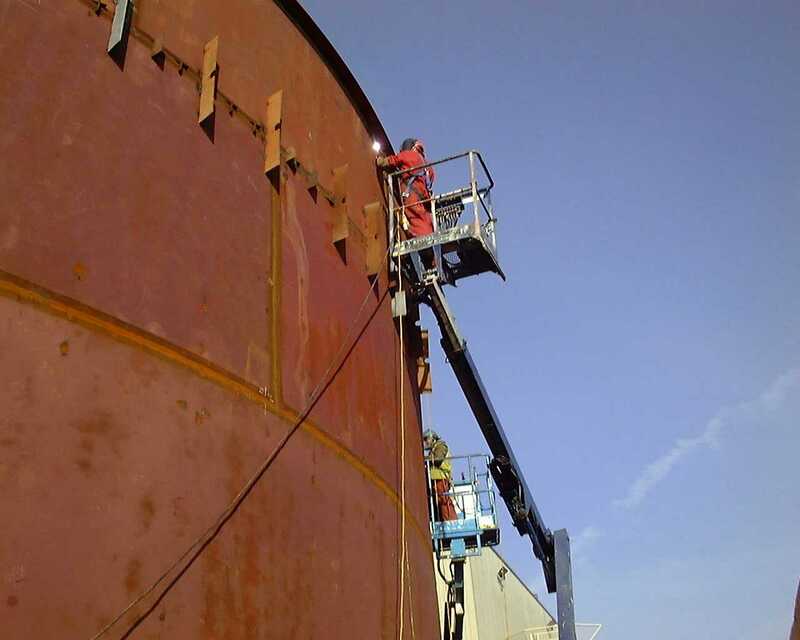 - UK Engineering Experts | Engineering Business UK | Qualified Engineers Lancashire | Mechanical Engineered Products | Mechanical Engineer Services. 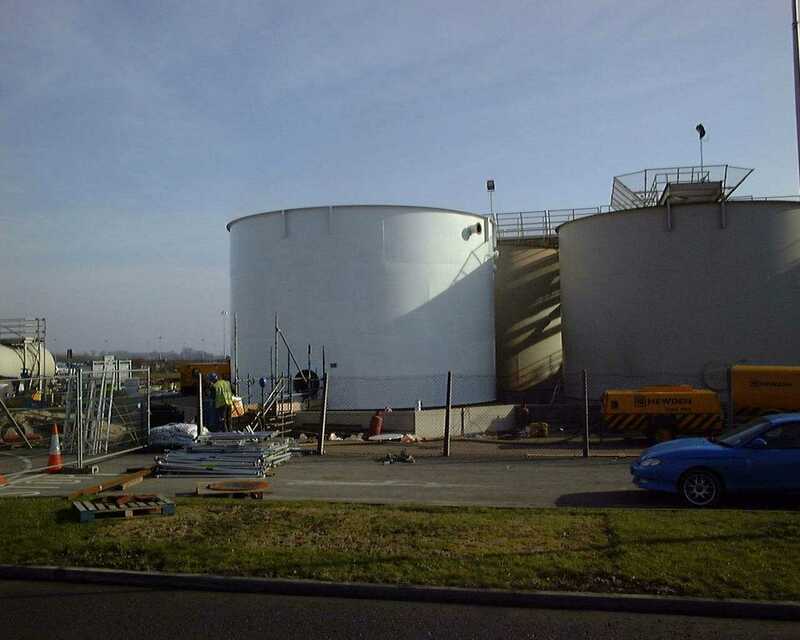 Waste Water Tanks, Honda UK, Swindon. 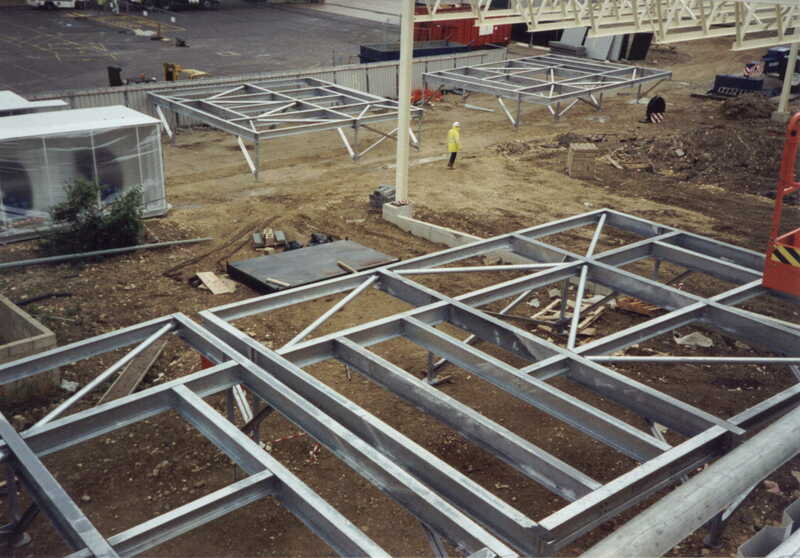 Project : Waste water tanks and steelwork. Aspinalls detailed, supplied and installed 3no. mild steel welded waste water tanks. 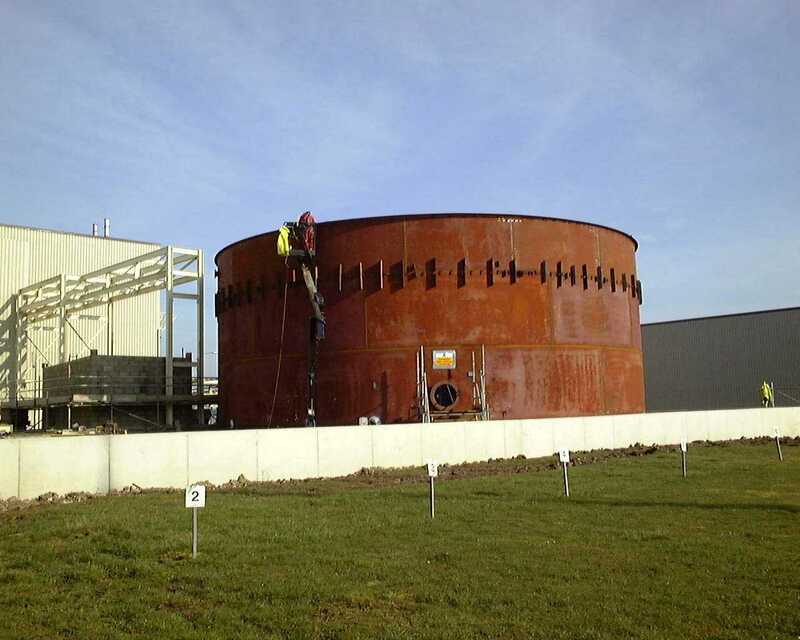 The tanks measure 5m, 7m and 11m in diameter and stand 7m tall. 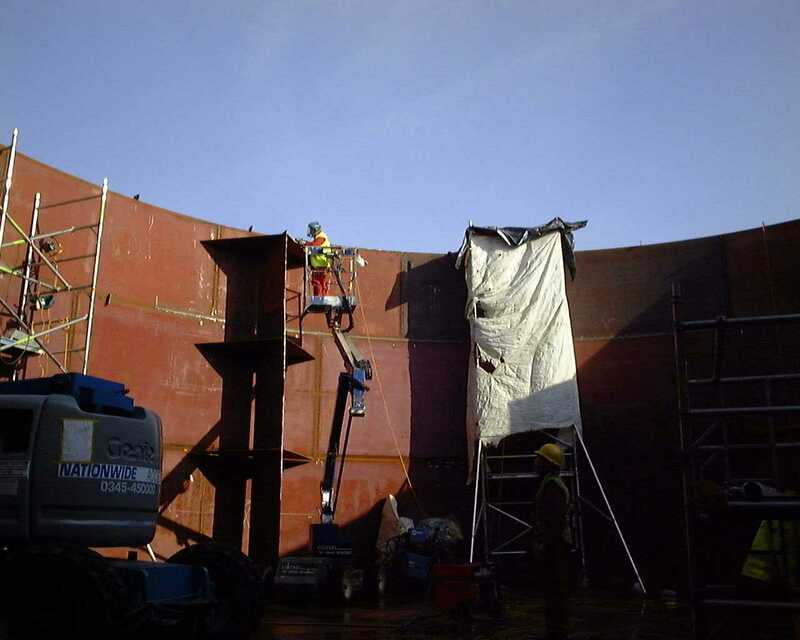 The 5m tank was fabricated off site, the 7m and 11m dia tanks were fabricated insitu. Including a 10m long pipe bridge. 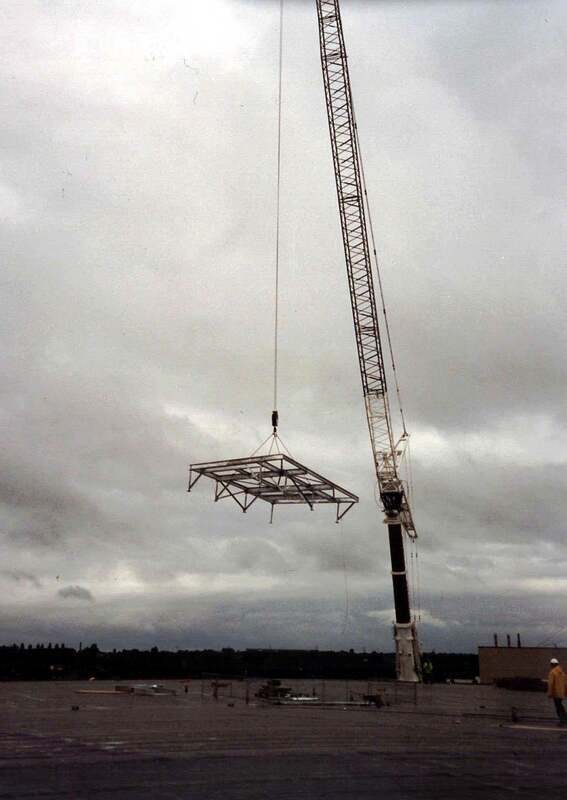 Aspinall site measured, detailed, supplied and installed Truss strengthening steelwork in readiness for the installation of new production equipment. Aspinall site measured, detailed, supplied and installed press pit covers, mezzanine steelwork and air handling support steelwork.